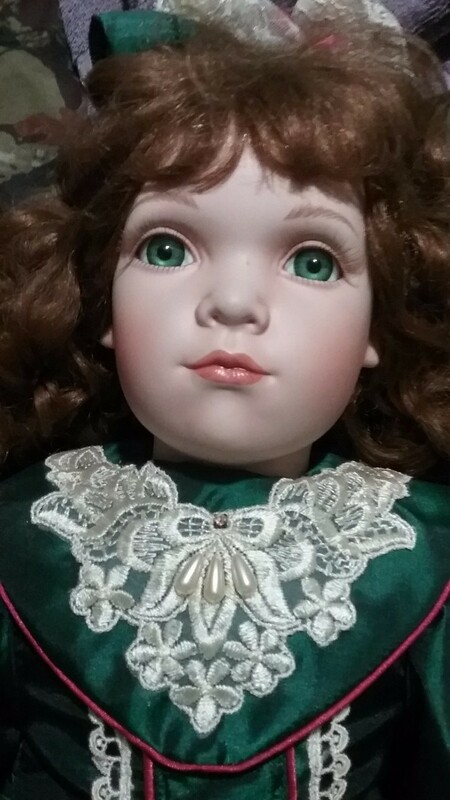 What is the brand name on this doll? And how much is she worth? I can't tell for sure what the name is but I can tell you it's not worth much. There were 1000 of these made, which means its mass-produced, and it was made in 1996, which is fairly recently. The maker of your doll is William Tung and these dolls are sometimes worth more than the average doll listed on auction sites but all dolls are usually very slow sellers and sellers on auction sites may have dolls listed for months or even years and still may never sell them. There are just so many dolls available that people have so large a selection that it brings down the value of almost any doll. Here are some current listings on eBay and Etsy but asking prices do not usually mean very much. 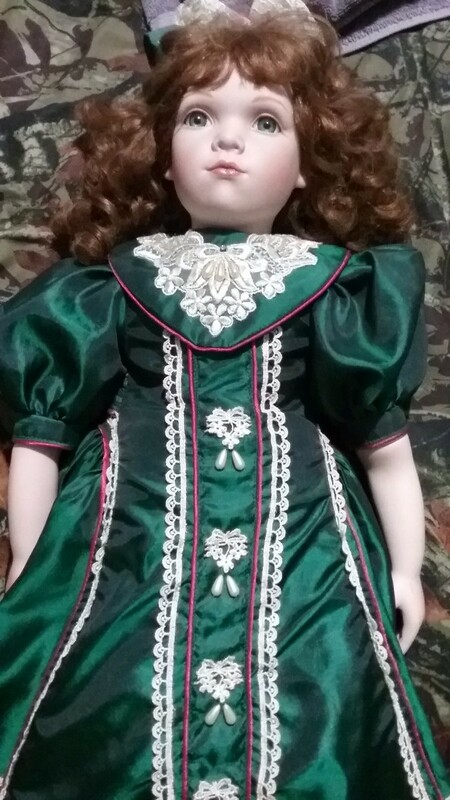 Here is a link to dolls that actually sold on eBay (recently).